Sarah Palin just doesn't seem to like Alaska much these days. She's coming back to the lower 48 this week-end to attend the annual Alfalfa Club dinner in Washington where she'll break bread tonight with President Obama and a host of other political and social luminaries. Seems like she was just in Washington the other day trashing the liberal media and setting up her new Political Action Committee. Oh well, Palin's newly formed PAC will pick up the travel tab no doubt. Maybe they'll even pay for a new dress. Though the press is traditionally barred from the event, I bet a clandestine video will surface somewhere on the internet tomorrow or the next day and there are bound to be enterprising reporters getting interviews with attendees. Sarah Palin's name will be on everyone's lips. Meanwhile, back in Alaska people are asking questions. The locals aren't so happy about the fact that Palin is spending more time positioning herself for 2012 than taking care of state business. Her office has stonewalled a request for emails relating to Troopergate for six months and gone are the days when Palin walked around the office with her daughter Piper handing out bagels to staffers. Who's minding the store? I'm betting on Sarah Palin to spend even more time getting her ducks in a row on the banks of the Potomac as the year progresses. Pass the popcorn. This should be fun. It's truly a sad commentary about how our political system works - someone as unfit, unprepared and unaware as Palin can still garner the attention of the media, political types and bloggers. She reminds me of a George Romero film zombie that just won't stay dead even after all the self-inflicted political boners she did during the campaign. I'm scared that this political zombie just might have the legs to make a run in 2012. I totally agree-- It's clear she wants to run and is trying to get herself taken seriously. I find it ironic that Palin, who criticized Obama for his celebrity status during the campaign, is now a celeb herself. Life is funny isn't it? 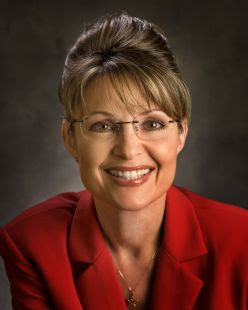 I'm all for Palin running for president in 2012. With Palin as the Republican candidate, Obama will easily win re-election with the largest majority ever! And have you noticed you can now by some weird device from a TV ad that gives you Palin Hair? Handsome Significant Other was floored: "You mean that's not just hair?!?" "No," I assured him, "not unless you tease it into a pile of knots." Susan, I had (and still have) one of those "weird devices" to get Palin Hair. It's called a rat tail comb, and can be purchased for less than a dollar in any drugstore or supermarket. LOL! What TV marketers won't come up with to get your $19.95!